In light of April being Earth Month, I wanted to share some easy ways in which you can take care of household chores using products that are both eco-friendly and free of harsh chemicals. Some of these products are so simple; you may even find that you already have several of them stocked in your kitchen cabinets as we speak. Baking soda is an all purpose staple when it comes to green cleaning. It can be used as a laundry booster or odor eliminator. When mixed with water, it turns into the perfect scouring cleanser. 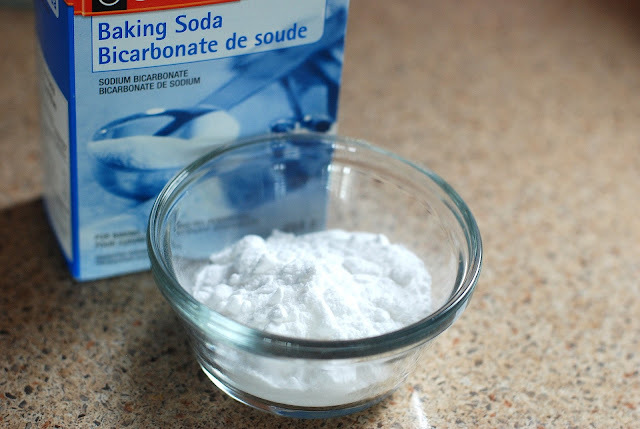 A while back, I did a post on the many uses of baking soda. It was a three part series chock full of handy ways you can put this common household essential to work. You can read my entire Many Uses for Baking Soda series here: Part One, Part Two, and Part Three. Citrus peels, vanilla beans, and cinnamon sticks can be used to make an air freshener for the home. Simply put a few pieces into a small pot with water and leave it simmering on the stove. It does a wonderful job at diffusing a natural fragrance throughout the home. 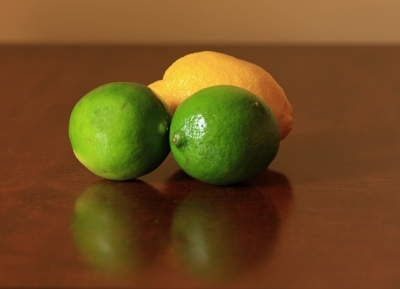 Lemons are very acidic and can kill bacteria. Squeeze a few drops into your favorite homemade cleaning spray, or put a few peels in the garbage disposal and they'll also to help fresh things up. Vinegar is probably one of my very favorite green cleaning tools! It is my go-to ingredient for pretty much everything that has to do with cleaning. It’s great for general cleaning, disinfecting, carpet odors, and even as a dishwasher rinse agent. I typically use it to make a disinfectant spray with warm water in a spray bottle. Sometimes I will also add a few squirts of natural dish detergent, such as Seventh Generation, in the mix. I use this spray to clean almost everything. It’s especially perfect for cleaning my son’s toys (the ones that can’t be put in the dishwasher or washing machine) since it is so safe to use. While vinegar may not be the most pleasant smelling thing, the odor doesn’t really linger for very long. If you are still concerned about that, you can always add in a few citrus peels to give the spray a more enjoyable fragrance. Vinegar also works very well as a fabric softener. I just pour it right into my washer's fabric softener dispenser. You can also measure about a 1/2 to 1/3 cup for each regular load. It especially works great for baby clothes, since you may not want to use regular fabric softener or dryer sheets on these particular garments. I'm a huge fan of essential oils! They have an array of amazing uses, whether it's healthcare related or in this instance for the general household. My favorite is tea tree oil, because it has wonderful antibacterial properties. I typically use a sprayer bottle to concoct a disinfectant spray. To do this, I include warm water and a few drops of the oil (sometimes I will add a few squirts of my favorite natural dish detergent). A little really goes a long way. Do you have a problem with wasps and/or bees hanging around your home? This was an issue we had last year in the summertime. I have even found them trying to enter our screens when the windows were open. These creatures do play vital roles in our ecosystem, but nonetheless I'm terrified of them and do not want to risk my family getting stung. I decided to do some research a few weeks back to find natural ways to repel these little buggers. I found out that eucalyptus is known to be a deterrent, so I've decided that I'm going to spread some eucalyptus oil on the window sills and keep my fingers crossed. Has anyone else tried this trick? Did you have any success with it? If so, I’d love to hear about it. There are several companies out there that offer green cleaning solutions using various microfiber products. I had recently been introduced to one of these products, the e-cloth. 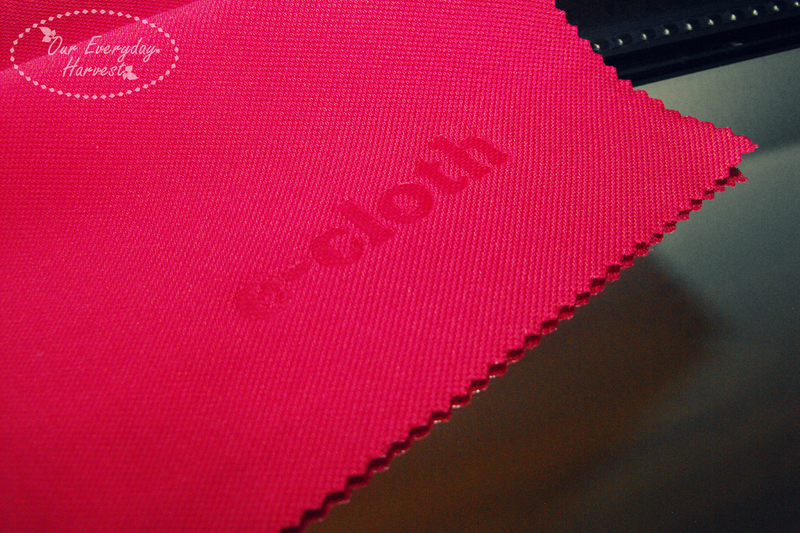 This product actually uses the simplicity of microfiber cloth technology and water to clean. That’s it...no chemicals needed. 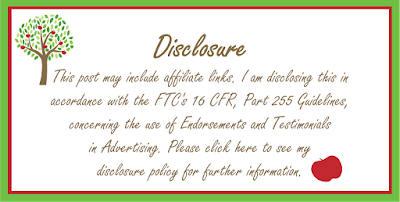 For more information, you can read my previous review on this product. . These are just a few simple tips on how to clean and tackle household chores in a safe and environmentally friendly way. There are so many more ways to get the job done without using chemicals, but if I were to list them all here, this post would probably go on and on forever, and I know we all have some cleaning to get to (wink wink). Of course, depending on your individual situation, you may not have been able to eliminate the use of regular cleaning products 100%. That’s fine. Sometimes you have to do what you have to do. I still use regular cleaning products for certain tasks. At the same time, I’ve been trying to utilize the greener option whenever I can. Not only can the products mentioned, above, help you tackle household cleaning safely, but some of them can also prove to be the more frugal option. The cost of simple household staples such as vinegar and baking soda can be purchased at a huge fraction of the cost compared to regular cleaning products. This means that you can save some green while going green at the same time! 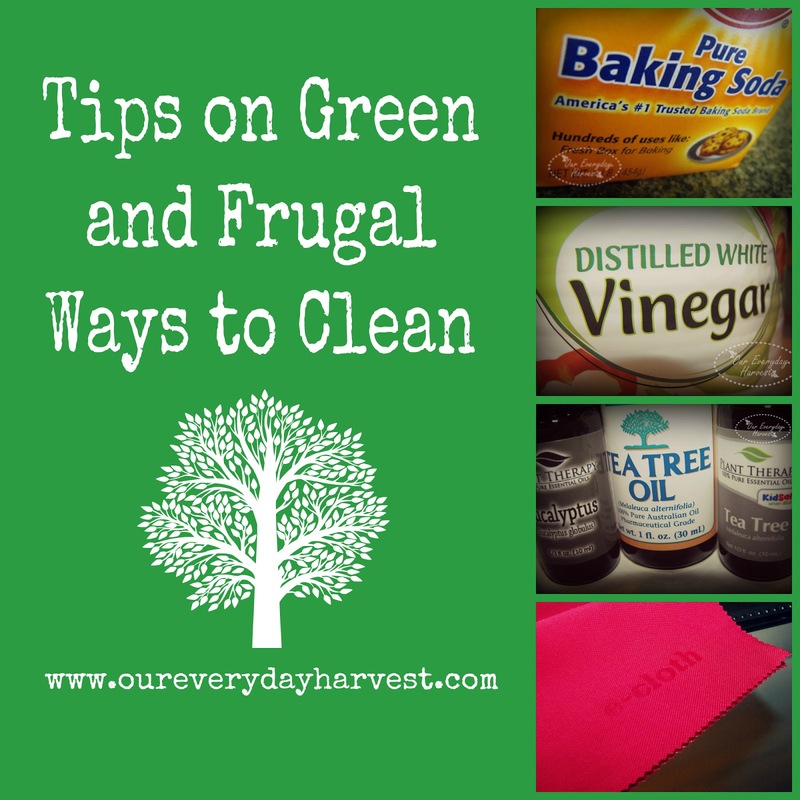 Do you have any tips on green cleaning? What products do you use? 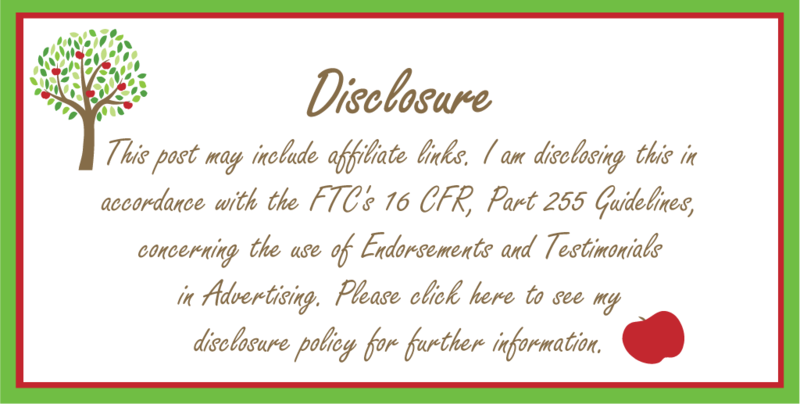 Please feel free to chime in, below. I'd love to hear your thoughts and tips.